After having drawn attention across the world with the debut single Nine Matches, L.A.-based singer-songwriter B. 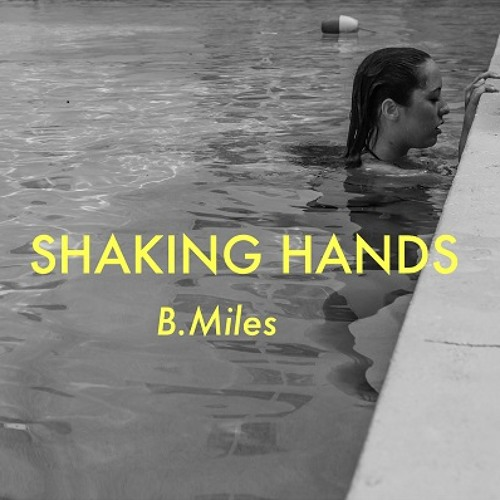 Miles is back with a new track Shaking Hands. With Nine Matches the young artist has highlighted a vibrant and soulful vocals supported by Noise Club’s percussive elements to create a round space against deep, lush synth puds, and getting so a dark pop texture. Now Shaking Hands is the next chapter in B.Miles’ story – a track she describes as ‘a twisted version of “The Boy Who Cried Wolf”’: a more complex take on the classic fable that’s perfectly in keeping with her atmospheric sound. Miles’ lyrical inspiration comes from the likes of Nick Cave and Tom Waits, and this is evident throughout. Indeed the young artist first crafted her songwriting in Miami, attempting to forge an identity which captured ‘the essence of melancholy and yearning, while finding beauty in the sadness and pain that all of us carry inside’. B. Miles seems to have struck on a sound that promises much for the future.